If It Were My Home is a very interesting and well designed website that allows you to compare different countries and statistics that relate to quality of living. The site displays the pros and cons of each country and gives you incite that you might not have thought of before. 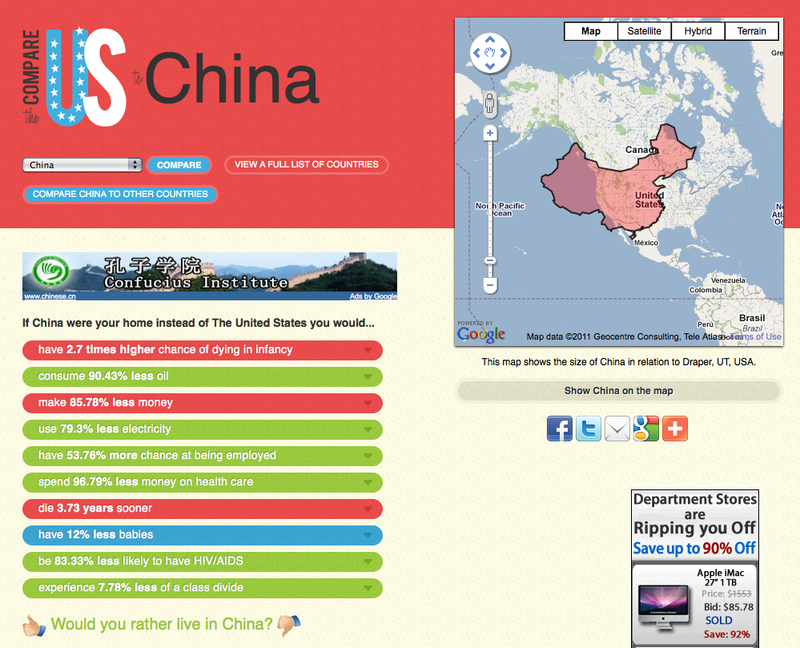 Here I have compared the U.S. with China (where I have lived before), and was a bit surprised to see there were far more pros for China on the list than cons. Of course these are somewhat subjective, but interesting nonetheless.